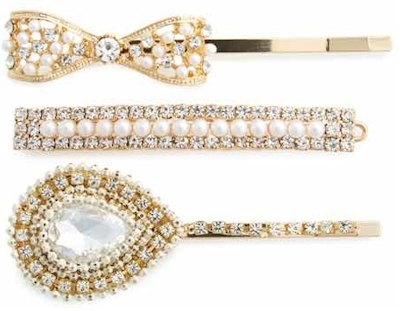 Nordstrom has got all of these beautiful Tasha hair accessories on heavy markdown. The 4-pack of Tasha Floral Bobby Pins pictured above is $8.40 with free shipping and free returns. Just so pretty. 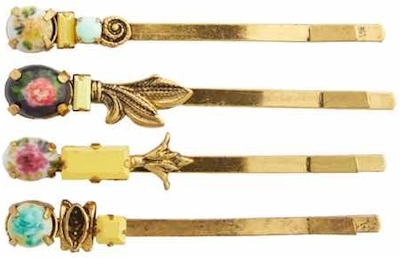 This 3-pack of Tasha Embellished Bobby Pins is $9.60 with free shipping and free returns. 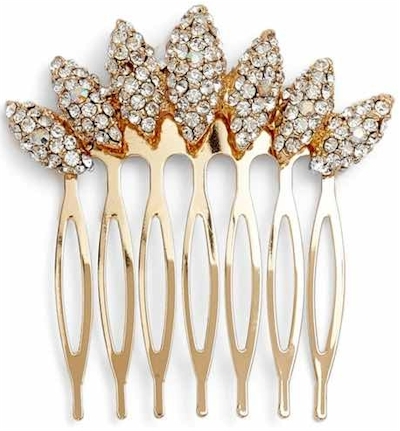 This Tasha Flower Petal Crystal Hair Comb is also $9.60 with free shipping and free returns. 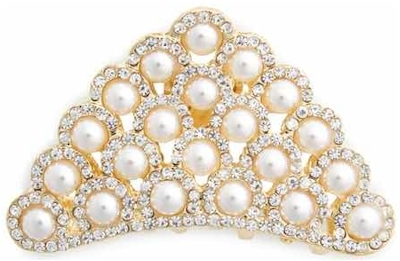 And I know this is more than $10.00 but I'm going to cheat a little bit and include it anyway because it's so elegant and beautiful: this Tasha Crystal & Imitation Pearl Jaw Clip is $13.20 with free shipping and free returns.